Stampin' Up note cards are so useful when you need to make a stack of cards in a short period. I was really touched by the response to my card swap that I organised last month, I was thrilled that so many talented crafters took part. It did however mean I needed to make a stack of cards in a short period and then the note cards came into their own. They saved so much time on cutting and scoring card blanks. 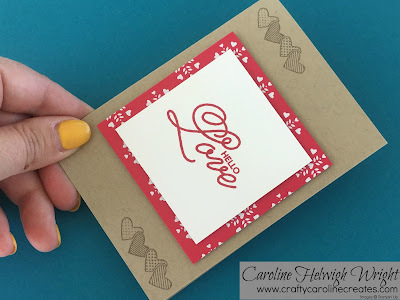 Combined with some gorgeous DSP and some of the stunning stamps from the Sealed with Love stamp set, I was able to whip up a pile of cards in no time. The DSP I have used here is actually retiring at the end of the month and you can pick it up at a great price right now. If you want an even bigger bargain, check out this DSP stack, it really is just £2.90! Just click on either picture to go right to my on-line store and buy now.